Alien items is an anthology of stories set in the Oolite universe. This is a 232 page collection of short stories, edited by Drew Wagar, with contributions from Dylan Smith, Blaze O' Glory, El Viejo, DaddyHoggy, Commander Wyvern, Ganelon and Drew Wagar. 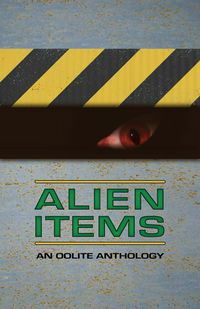 Alien Items is available in PDF (2.4Mb), EPUB (680Kb) and MOBI (1.4Mb) formats. This page was last edited on 28 February 2016, at 23:39.